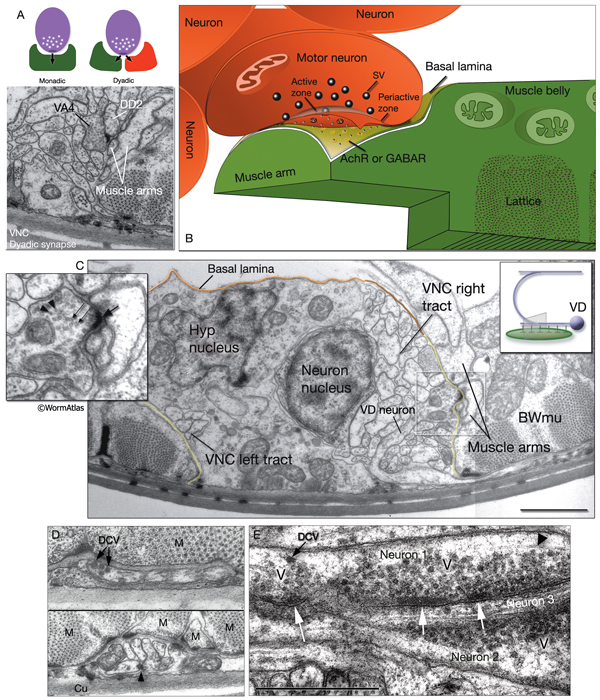 NeuroFIG 21: Chemical synapses and NMJs occur en passant in C. elegans. B. Schematic rendition of an NMJ. The presynaptic motor neuron and post-synaptic muscle arm are separated by the basal lamina. When there is another motor neuron at the receiving end at (polyadic) NMJs, this post-synaptic neuron is on the same side of the basal lamina as the presynaptic neuron. (SV) Synaptic vesicle.